Meet and greet me in Portlaoise then sit back and relax as we meandour through the Irish Country Side towards the ancient reek of Croagh Patrick, Co Mayo. We will visit Clonmacnoise on the way up and you can witness the splendour of ancient Ireland. We will travel along old roads at ease for you to take in the beautiful Irish Countryside.When we arrive in Westport we will climb “The Reek”! its takes about 3 hours if your moderately fit. ! 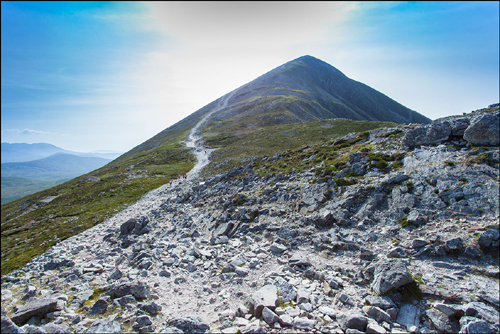 Croagh Patrick is the hill were St Patrick spent 40 days and nights minding his herd of sheep, he sought solitude on the reek and it is a sacred place in Irish Culture. When we finish the climb we will retreat to the accommodation were we can shower etc, . We can then hit Westport town for a great night of Traditional Music and craic. I will buy the first Guinness and provide advice and entertainment all night. The following Morning we will rise and get breakfast and make our way home. I am flexiable so if your want to stop off along the way we will.